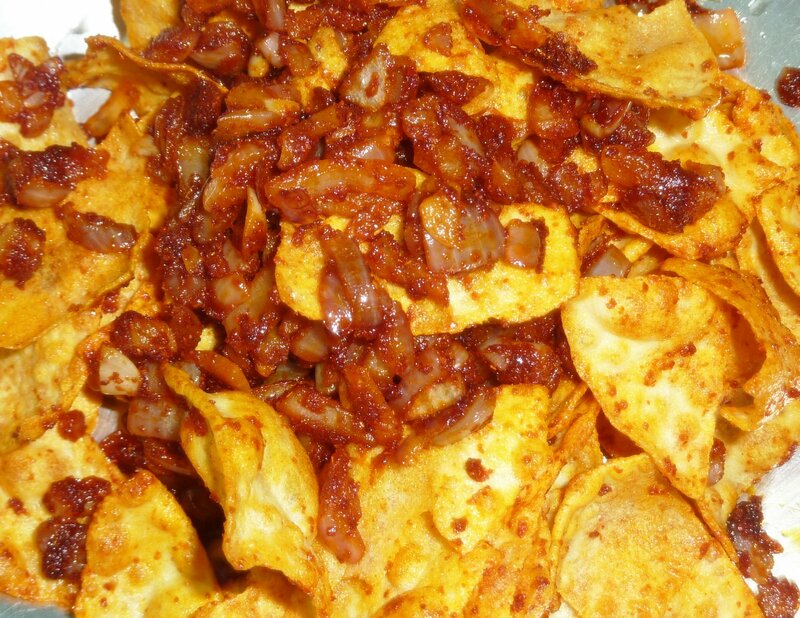 Spicy papad is a side dish that my mom used to make.It is prepared with papad, red chilli powder,onion and salt and instantly prepared. Since i’m a spicy food lover this one is one of my favourites. My mom used to prepare this when we have geela bhat/kanji and I used to just love it. Even now whenever I feel like having anything spicy and needs to be made instantly, I make this and have it with rice or roti or just like that. Spicy food lovers will surely love this. Tear the papads into small pieces and fry it in hot oil and keep aside. Meanwhile mix onion, red chilli powder and salt in a bowl. In the remaining oil add the onion and red chilli powder mix and sautÃ© till it is cooked properly. To this add the fried papad pieces and mix well, remove from heat.